Dell Inspiron 7460 Notebook Near Borderless Design Lands In PH, Price Starts At PHP 44990! Home / dell / mobile / news / Dell Inspiron 7460 Notebook Near Borderless Design Lands In PH, Price Starts At PHP 44990! 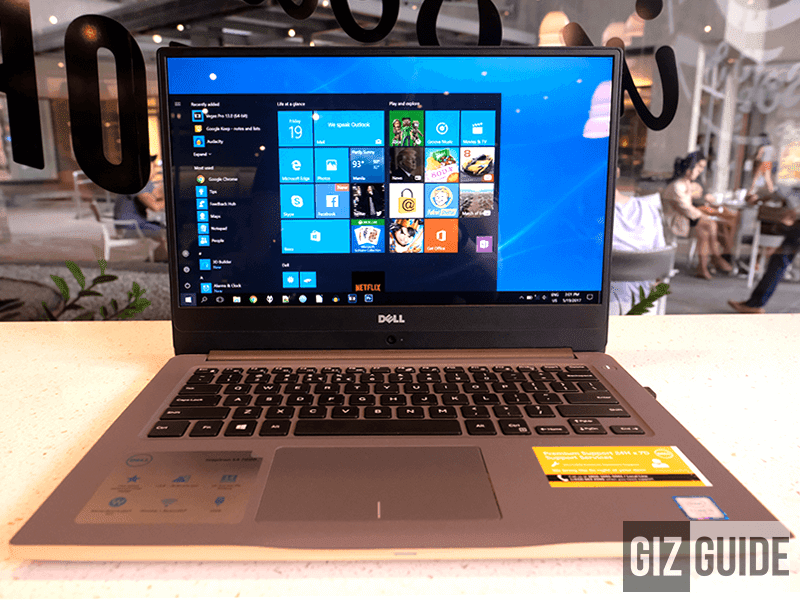 Dell has silently made the 7460 laptop official in PH, the company's latest affordable notebook equipped with an XPS-like near border-less 14 inch FHD screen. The Dell Inspiron 7460 highlights a slim and stylish chamfered aluminum frame with either 3.10 GHz Intel Core i5-7200U or 2.70 GHz Intel Core i7-7500U quad core processor paired with a GeForce 940MX graphics, either 4 GB RAM + 128 GB SDD + 500 GB HDD or 8 GB RAM + 128 GB SSD + 1 TB HDD, and 42 WHr of battery. This laptop is also complete with an HD Webcam w/ digital microphone, WiFi ac, Bluetooth 4.2, HDMI, 1x USB 3.0 w/ Powershare, 1x USB 2.0, and 2 speakers with Waves MaxxAudio Pro sound technology. For its asking price of either PHP 44,990 (Intel Core i5-7200U variant) or PHP 54,490 (Intel Core i7-7500U version), the Dell Inspiron IN7460 is one of the most stylish yet capable business laptop in the country today.